I was in Chatham today with clients, showing them a few waterfront homes. 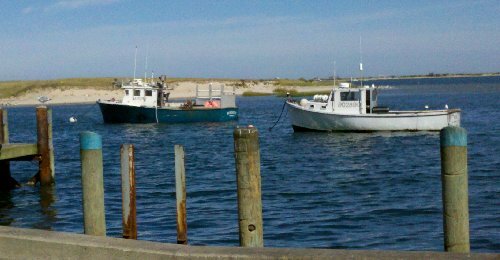 For lunch we stopped at the Chatham Fishing Pier and had lobster rolls. A fabulous day! I took this photo of a few fishing boats, resting in the harbor. 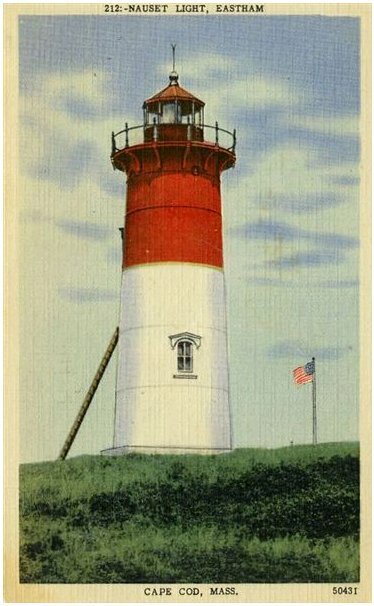 I found the following photo of the Eastham Coast Guard Station online. The photographer, Jaime Martorano, caught the Station at sunset. Spectacular! Take a look...Here. 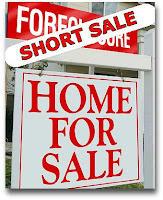 Short Sales are real estate sales where the sales price of the home will not be sufficient to pay off the mortgage(s). Time and time again the equity of a home will be removed through second and third mortgages, effectively taking the profit out of the home prematurely. Often the financial situation results in folks having to relocate in the hope of clearing their debt. 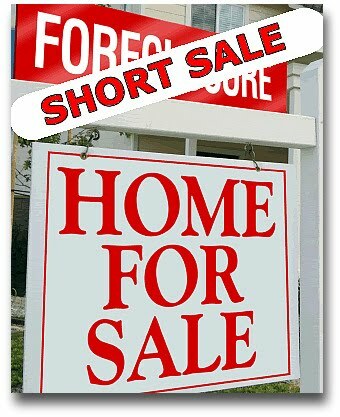 The increased number of these short sales has brought out a whole category of fraud. Read the article on the Massachusetts Real Estate blog, here. This article came from Bill Gassett's (a REMAX agent in the Hopkinton area) blog. Enjoy! My October Eastham real estate newsletter is available now. It has Eastham's results through August's sales, a new listing, a mortgage refinance calculator, and some notes on selling your home in the fall. Also, you'll find info on Wellfleet's Oyster Festival. Eastham's marketplace is improving, dramatically. Volume is up big-time. The median sales prices have rebounded somewhat from last year. This issue has my 'forecast' of the entire 2010 selling year. Interesting! Download your copy of my October newsletter ..Here. This year's Windmill Weekend provided great weather and lots of fun. 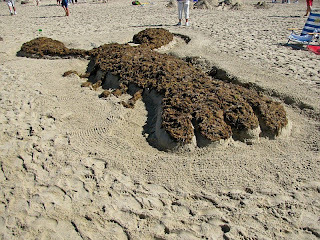 The sand sculptures at First Encounter Beach were, as usual, pretty good. Check out my photo page ... Here. 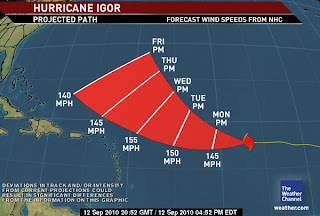 Our next bundle of joy may well be heading our way in the form of Hurricane Igor. 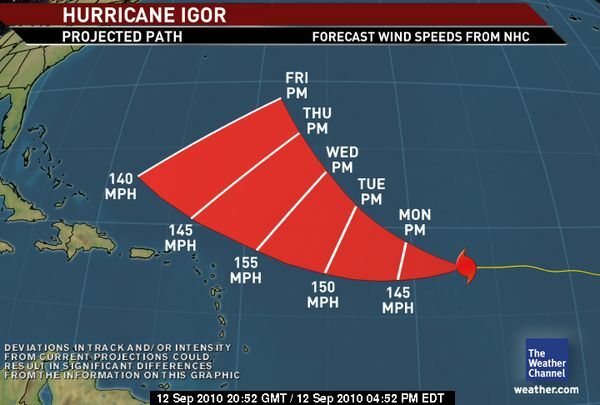 Currently Igor is a category 4 storm, with winds of 140 mph, heading generally north-westward. Landfall, if it hits land, will be over a week away. The chart below, captured this evening, shows it maintaining 140 mph winds for the next several days and traveling slowly toward the US. We'll need to keep an eye on this one. Air Travel Just Gets Better - NOT! 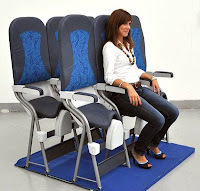 Just when you thought that air travel couldn't get much worse, with reduced leg room, baggage charges, delays, TSA, etc., here's an idea that will surely make your travel even more fun. How about saddle seating? These new seats are intended to create a whole new class of seating (Cowboy Class? ), with seats designed like horse saddles that will keep you almost in a standing position, with rows only 23 inches apart. The article, from USA Today, states that the most logical use of these new seats is to create a whole new class of cut-rate flyers for short haul (1-3 hours) flights. Ugh! Nine years ago we watched as history changed course. 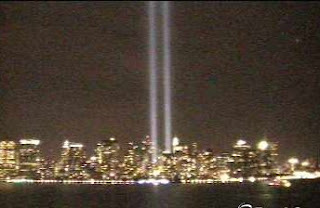 Today, we remember that nearly 3000 Americans died that terrible day. The Freedom Tower, now called One World Trade Center, is rising from the ground next to where the Twin Towers once stood. 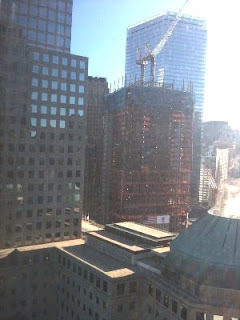 Below is a photo taken this morning from my son's apartment in Battery Park City. 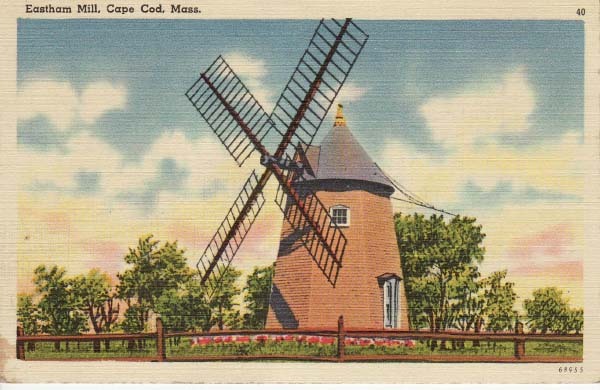 The biggest and best weekend in Eastham is this coming weekend, known as Windmill Weekend. The town puts on a party with lots of events and it's always fun for the whole family. The 33nd annual Windmill Weekend includes an art show, a craft show, a car show, sand 'art' at First Encounter Beach (my favorite), concerts, a clam chowder contest, a talent show, a parade, 5 mile and 2 mile runs, and much more. Go to the Windmill Weekend website for more information. This year's theme is "Celebrating Eastham's History and Natural Beauty". Come and join the fun! Of special note - since the sand 'art' event needs to happen at low tide, the event is scheduled for early Saturday morning, with the judging to start at 10:30. Don't be late or the art will be gone! Yes, Friday night was wet and windy. We had a few inches of rain; we had wind in the 30's. But the net wasn't much. I drove around Eastham Saturday morning, checking up on a few homes, but saw nothing more damaging than a few small stray limbs on front lawns and a large puddle in front of Sam's Deli. Read 'Earl doesn't lay a glove on Mass.' on the Boston Globe's website. The weekend, on the other hand, was spectacular! Fall-ish temperatures and blue skies. 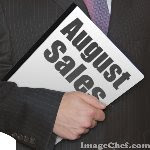 There were 9 closings in August (down from July) with an average sale price of $475K, and a median of $380K. This year, August's closings totaled $4.3M. Last year's total was $4.2M on 10 sales. There were 75 closings year-to-date (8/31/10), up 53% from 2009's 49 sales (note: single family homes). Currently, there were 110 homes for sale in Eastham, with an average list price of 588K, and a median price of $469K. For more a snapshot of Eastham market conditions, including sale details, listings, and community information go ... Here.. Almost 2 decades ago the New York Times 'discovered' Eastham. It's an interesting article, but it shows how things change, yet stay pretty much the same, in Eastham. 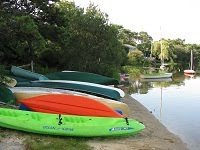 Read "Cape Cod's Little Secret" .... Here.